ATV Titles & Registration | ATV, Snowmobile, Off-Road Vehicles, DCNR | Shirley Katz, Inc.
Pennsylvania has plenty of terrain and trails to keep even the most avid off-road junkies entertained for the foreseeable future. With short seasons no one wants to get caught up in paperwork. So stop by a local Shirley Katz Insurance location for fast, hassle-free service, and get your off-road vehicle titled & registered today. We service it all! 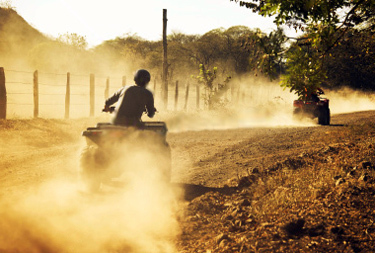 From ATVs to snowmobiles, Shirley Katz Insurance Inc. has over 30 years of off-road title and registration experience. We work with DCNR to provide the fastest possible service. Additionally, with three convenient locations throughout the Poconos in Stroudsburg (18360), Marshalls Creek (18301), and Brodheadsville (18322), you can rest assured that great, affordable service is close-by. Pressed for time? Just need a questioned answered? Call a Shirley Katz Insurance Inc. representative today!